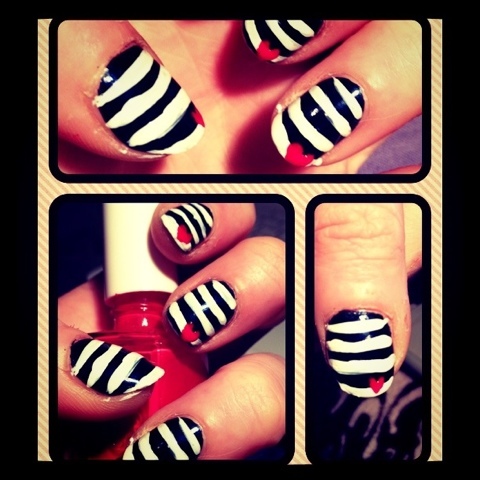 I started the week with a marine inspired blue/white-striped nail! how cute is the little read heart on each nail! I loooove it! 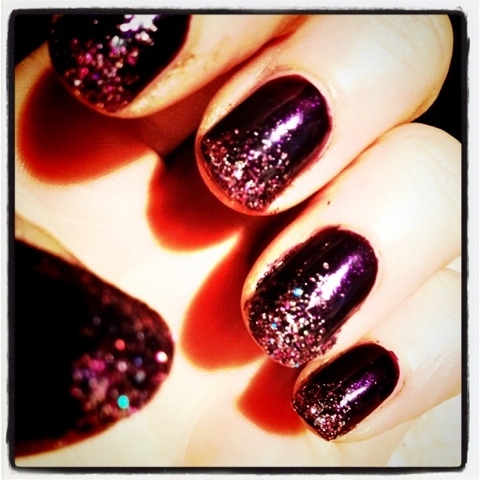 The other half of the week i wore this gorgeouse purple polish by Sephora by Opi and dipped my nails in some purple glitter. Love me some glitter!